Paws for Charity is annual Art Book Project which is in its 6th year. The book includes images of dogs and cats contributed by artists and photographers around the world. All proceeds from this project will be donated to Sheltering Helpless Animals In Distress (SHAID.ca), an animal shelter in Bridgewater, Nova Scotia, Canada. As you know animal welfare and charities are near and dear to my heart so for this reason I am so excited and proud to announce that this year I’m one of the contributing artists for the Paws for Charity 2014 book. I’ve seen a few other pages and it looks terrific. I’ve just ordered my book and waiting for it to arrive. The book is available for order in hard or soft copy. Just click here to preview the book and order your own copy. More good news…enter coupon code P4C2014 to recieve 25% of your order until June 30, 2014. All artists have donated there time and images to this worthwhile project and the book was curated and designed by Sara Harley from Sharley Studios and all (and I mean all) proceeds are going to S.H.A.I.D. 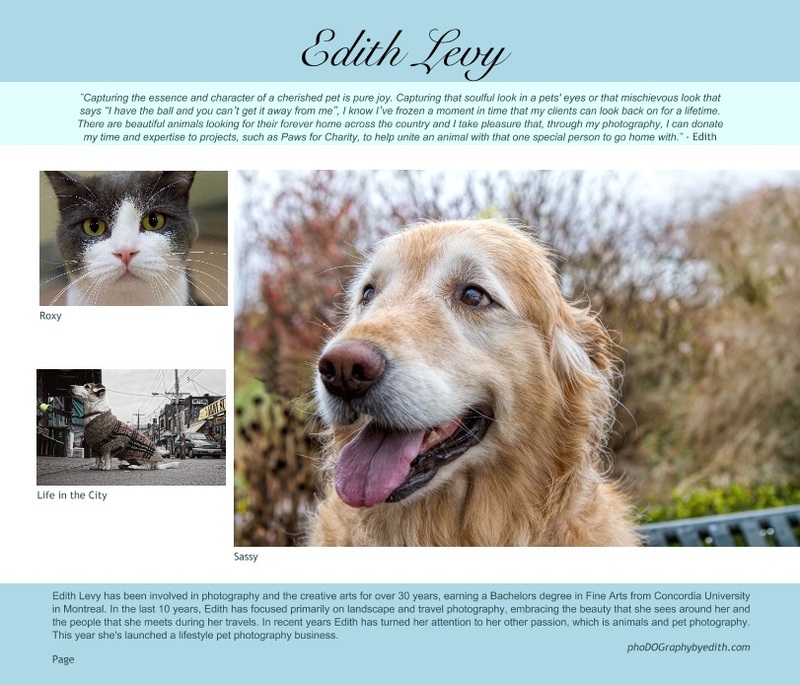 Hi Edith, Thank you so much for contributing to this year’s Paws For Charity Project! This project is only possible because of generous people like you! It was my absolute pleasure to contribute to this fantastic cause. Thank you Sara for selecting my images and allowing me to participate.